You feel pretty and confident in your little black dress and it is your go to outfit. What sets you apart from the rest of the crowd? A pop of beautiful color in the accessories you choose. Pretty in pink is what comes to mind when you see this ring on your hand. 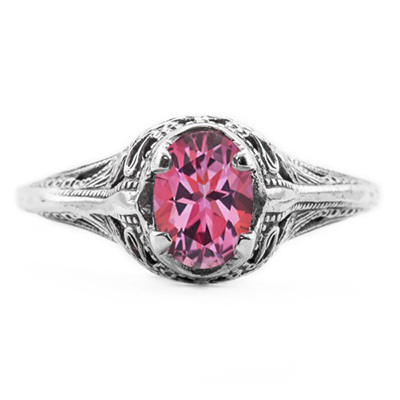 The elegant pink topaz gemstone blushes sweetly against the enchanting 14K white gold band. 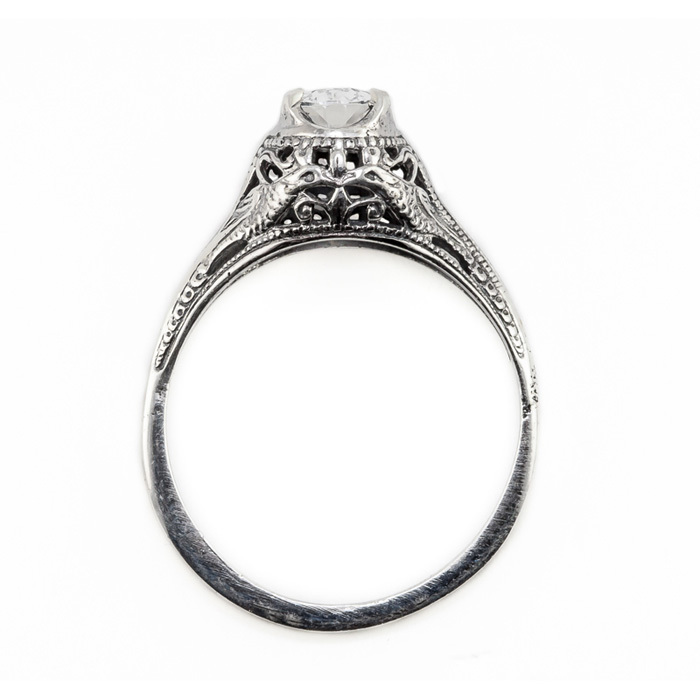 A vintage style ring with the air of estate jewelry provides a perfectly unique accessory. 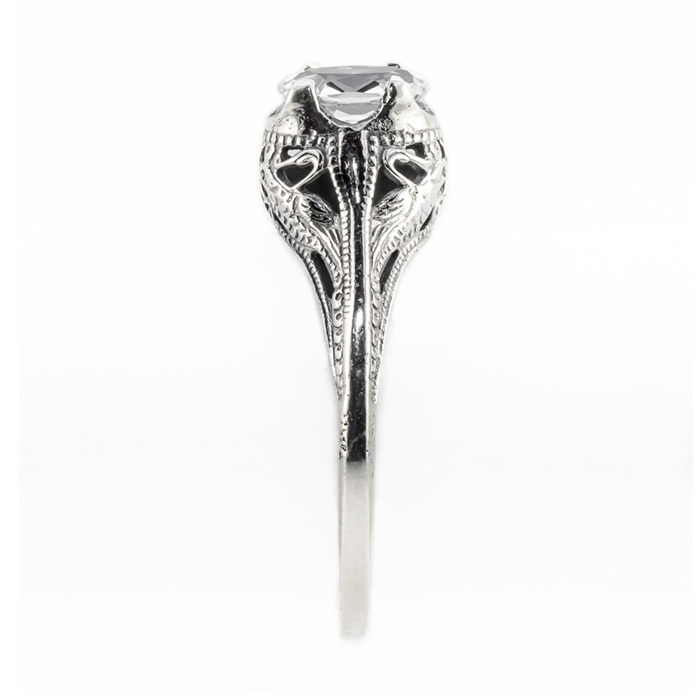 The swan design of this ring measures 7mm x 5mm and truly is a must have piece of jewelry created by Apples of Gold. We guarantee our Swan Design Vintage Style Oval Cut Pink Topaz Ring in 14K White Gold to be high quality, authentic jewelry, as described above.